Our newest suite, Beyond, is one of my favorite new designs. 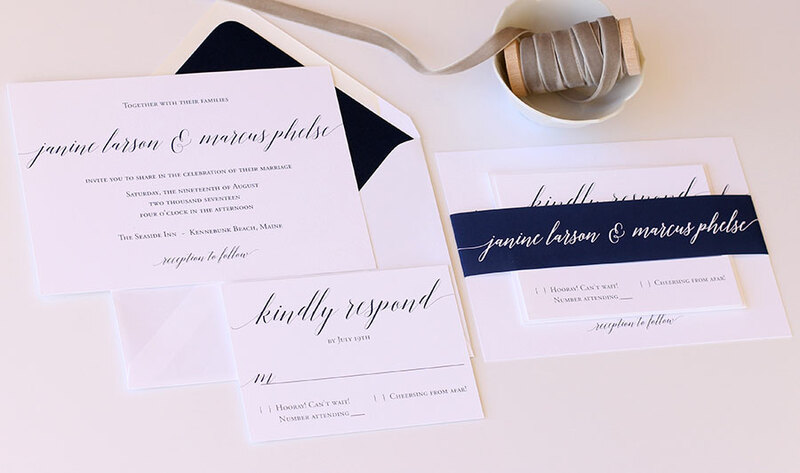 Shown in navy on our fabulous 120# textured white stock, this font perfectly pairs a gorgeous calligraphy font with a classic roman font. The first and last script letters gently glide off the page, adding a whimsical touch while still having a wonderfully simple, modern design.